A larger overnight bag in purple leather with silver catches and zips with a zip outer pocket. 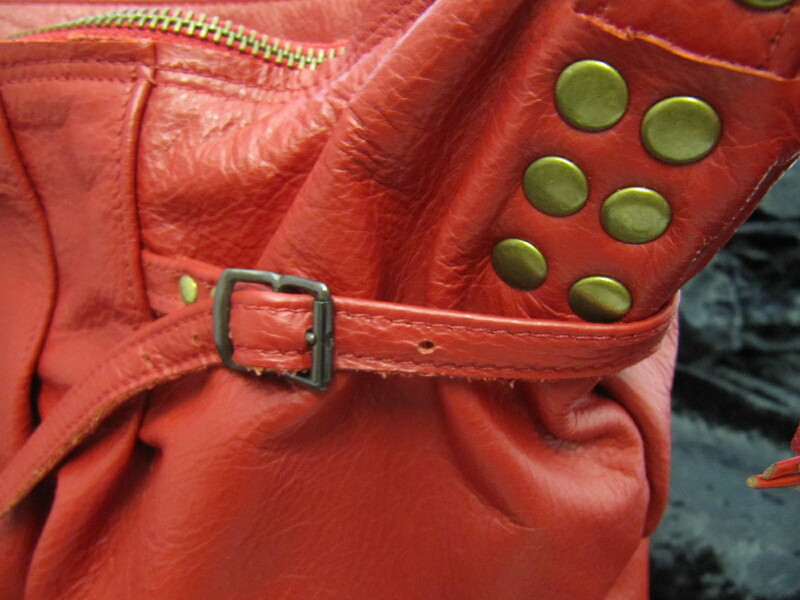 It has on the shoulder handles as well as a removable and adjustable cross body strap. It is lined with purple camouflage fabric and has one interior zip pocket and one open pocket.